Defend Mata Nui with the Boxor! 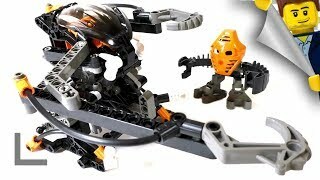 The Matoran have made an amazing discovery – the Bohrok are not truly alive, but are mechanical creations! 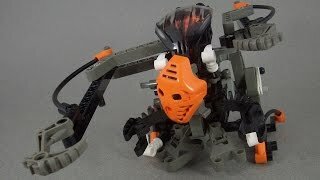 Using parts from fallen Bohrok, they have built mighty defense vehicles called Boxor. But can even the Boxor stand up to the swarms? Push down on the Boxor to strike with either or both arms! Includes a Matoran.